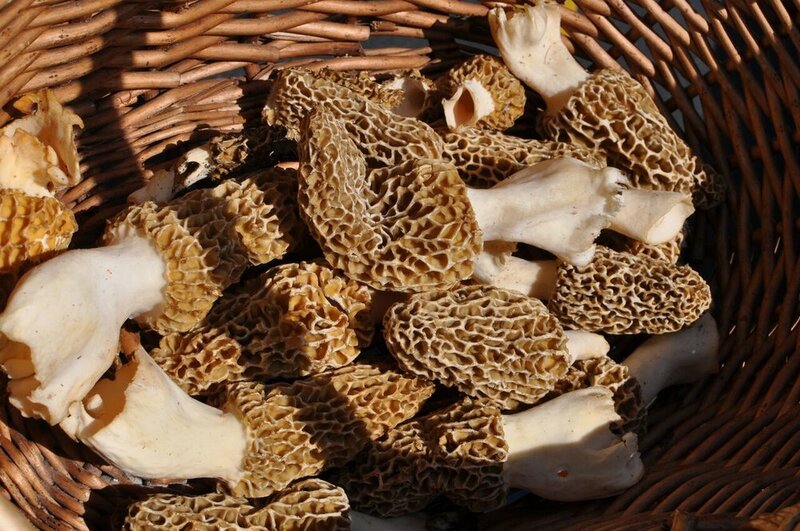 On Saturday, May 19, a group of curious foragers joined Braise owner and head chef Dave Swanson in La Grange, Wisconsin for Braise’s annual morel mushroom hunt. The group collected for coffee and pastries early in the morning before heading out to explore the Southern Kettle Moraine in search of the delicious and edible fungus. They learned from Swanson’s expertise on how to spot and harvest morels, as well as other useful foraging skills such as how to identify a “false morel.” Thankfully, the weather was nice (for Spring in Wisconsin) and the group stuck some luck. Together, they amassed around 10 pounds of morels! Morel mushrooms are one of the most easily identifiable mushrooms found in Wisconsin. When rainfall and sunlight strike the right balance, the fungus usually begins to emerge in the late days of March throughout May. Not only are morel mushrooms easy to spot, they’re known to be a delicious and savory treat. After the group finished foraging, Swanson cooked the group a delightful lunch filled with their morel discoveries. Swanson believes it’s important to know that delicious ingredients, such as the morel, can be found in nature. Swanson also notes that collecting your own ingredients is a great way to connect with the food you are eating and the natural environment around you. Braise’s morel hunt is an annual event. To be informed about next year’s hunt, visit our website or like us on Facebook! Support this story by visiting our Medium blog site.